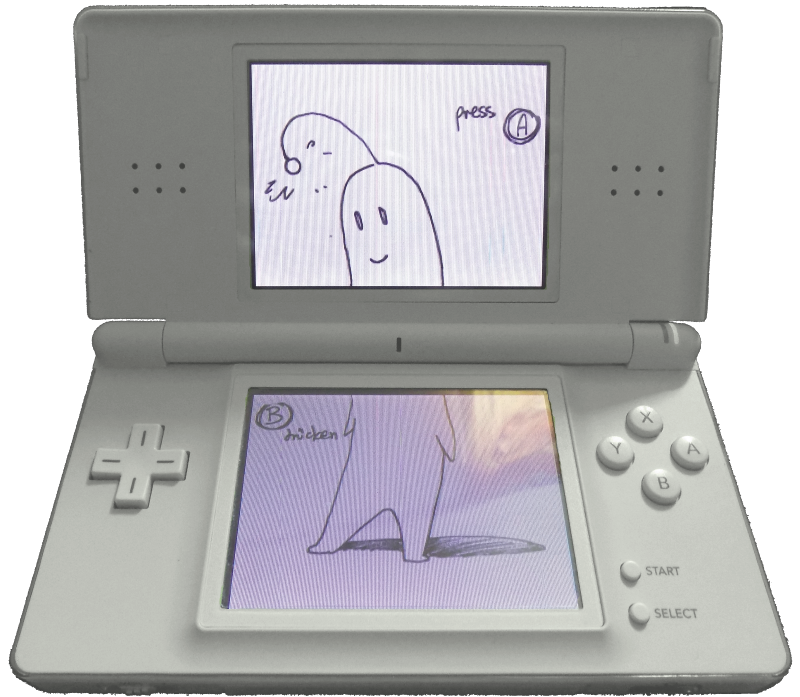 Named after the two official names for the NintendoDS handheld – 'Developer’s System' and 'Dual Screen' – the work is always installed in remote places, e.g. 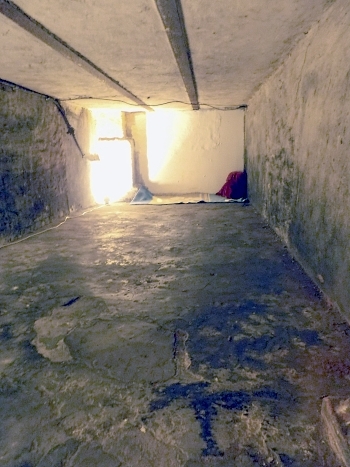 in cellars or under stairs, to guarantee a solitary experience, and can only be interacted with through the specific white NintendoDS on which it is stored. On the lower screen, written in sleek German, a children’s tale; on the upper screen, written in spontaneous, careless English, the encounter with a young girl, for which the story on the lower screen has been written, is retold. While the children’s tale comfortingly recounts that all children have their own little monster to protect them, the report on the upper screen is much more disheartening: The girl the story was written for cannot be contacted anymore, and the only traces she left are the short story I once wrote for her and had to re-write from memory, as well as her long gone fingerprints on the exact same white DS on which the work is presented.